Let’s never lose our party spirit! There are certain nightclubs that carry a unique spirit, where people ‘dare’ to party. Where people transcend their minds and completely let go of their inhibitions, giving themselves the joy and freedom of being their wild selves. Last night I partied with friends in such a place; one of the most legendary nightclubs in the Alps ; Farm Club, in Verbier, Switzerland. It was jammed packed with people of all ages, which add to the fun. You find parents and children between 18 and 70+ partying together. Many nightclub owners are dreaming of having a reputation like Farm Club, which draws people from everywhere. Farm Club has been the place to party in Verbier and the Alps since it opened by the Berardis; two Italian brothers who have been running the club for forty years (until last year). “You can’t be old and wise if you were never young and crazy.” So set yourself free and party from time to time! 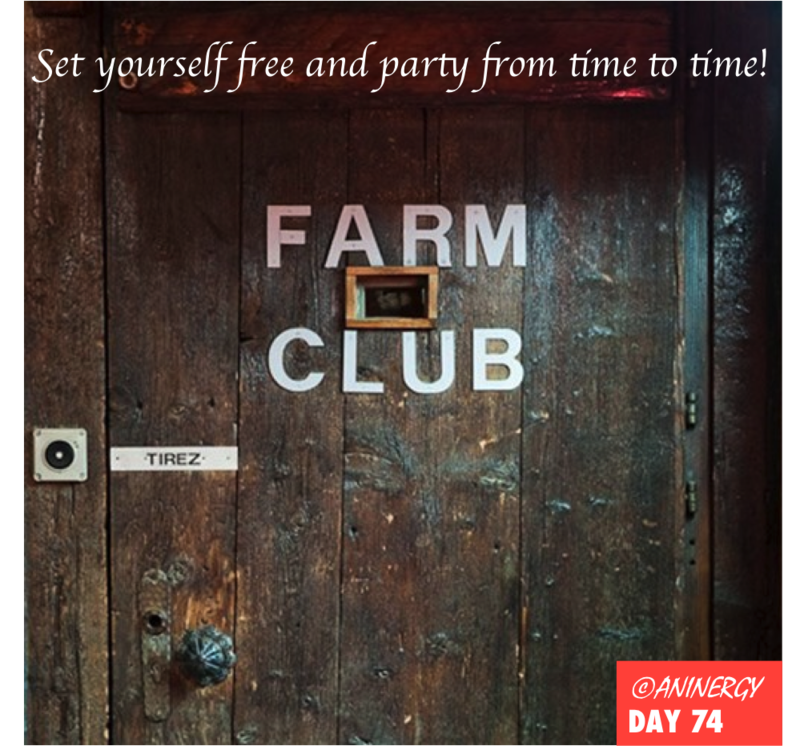 Categories: ageing, happiness, living life, mountains | Tags: be young at heart, Dancing, Farm CLub Verbier, great music, have fun, nightclub, Party, positive spirit, Switzerland, wild night | Permalink.